We strongly advise the vaccination of all puppies and adult dogs against the five serious infectious diseases. Canine Distemper, Infectious Canine Hepatitis, Leptospirosis,Canine Parvovirus, and Parainfluenza Virus. 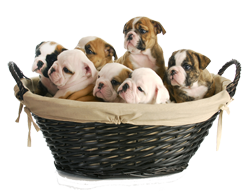 We also advise that all dogs who go to kennels or who are walked in a group of dogs are vaccinated against Kennel Cough. We can also now vaccinate dogs with the new Leishmania vaccine. This is not necessary for dogs in the UK but Leishmania is a serious disease prevalent in the southern European countries (especially the South of France, Spain, Italy and Greece). 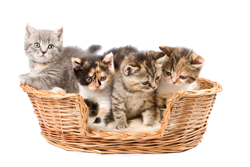 We strongly advise the vaccination of all kittens and cats against Feline Viral Respiratory Disease (cat flu) and Feline Infectious Enteritis. We also advise that cats that go outside receive vaccination against Feline Leukaemia as well. We recommend the vaccination of all rabbits against Myxomatosis and Viral Haemorrhagic Disease every year. 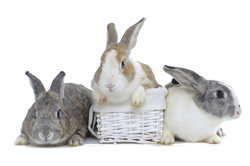 These diseases are transmitted by flies and do not require direct contact with other rabbits.